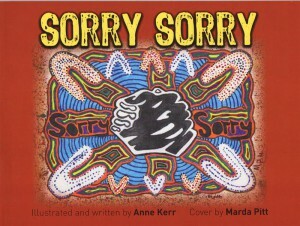 “Sorry Sorry” is a new picture book for children by Anne Kerr, a kindergarten teacher from Brisbane. 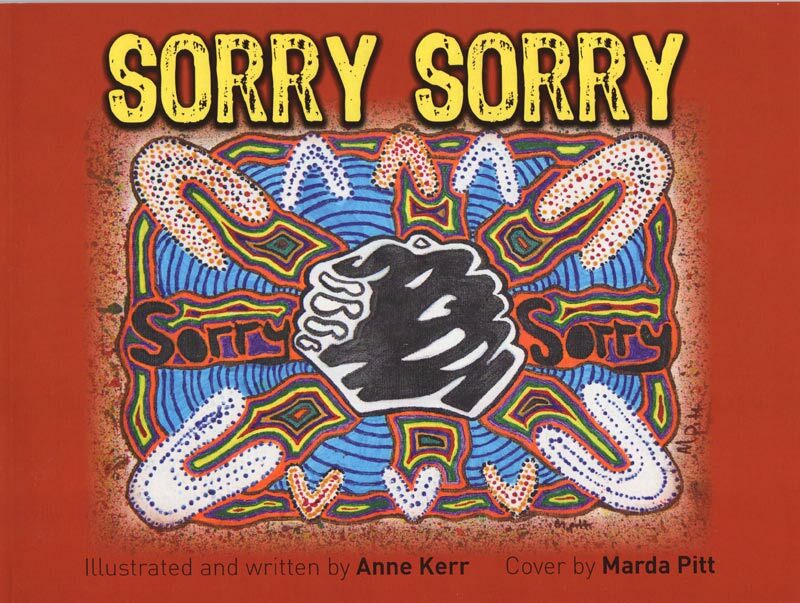 The book uses simple language and images (both by Anne) to explain what European settlement meant for indigenous Australians, and why the Prime Minister on behalf of the Australian people, said “Sorry” to the first inhabitants of this country. 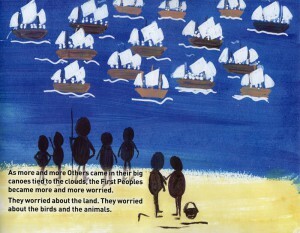 With vibrant painted illustrations tell of the landing of the first boats, the opportunity of friendship, and then the dislocation of Aboriginal people from their traditional lands by white settlers. One of the things that impresses me about this book is the telling of a long, complex and contested history in language that is accessible to children, but also speaks to older people. 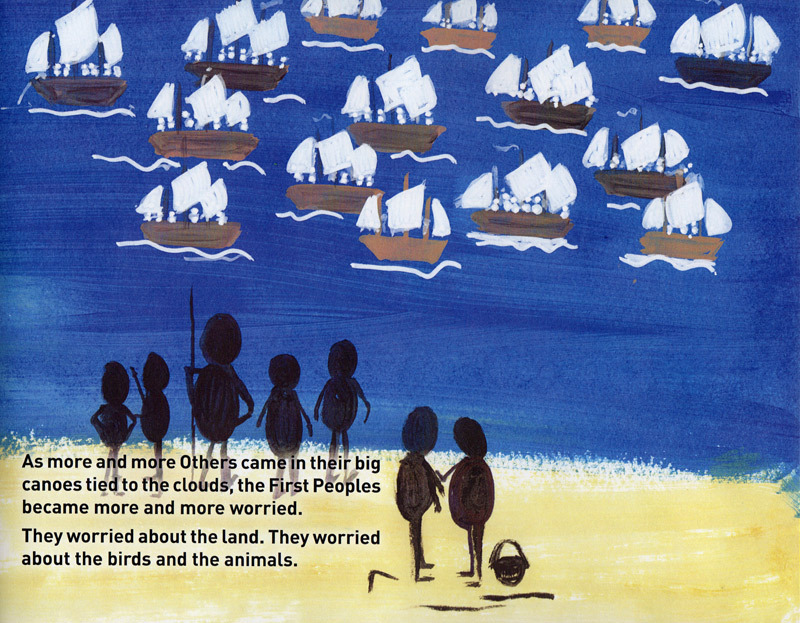 It is hard to imagine telling this story more clearly and simply for all ages. Anne’s paintings look a bit like a child’s paintings, which suits the telling of the story not only for children, but a narrative that is almost from a child’s perspective. They are colourful, clear but also both informal and iconic. 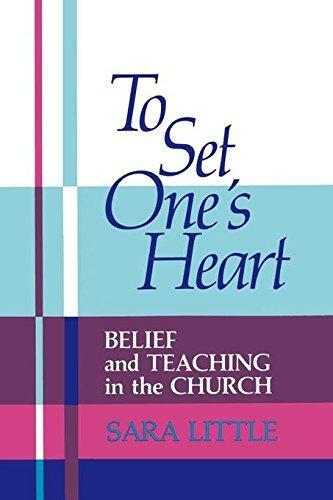 At the end of the book, Anne provides some excellent suggestions for educators using the book with young children. These invite groups to look at indigenous art and hear from local indigenous people. Anne’s years of teaching experience shine through the whole book. The book cover painting is by Marda Pitt, an indigenous woman from north Queensland. I highly commend this book. My copy arrived today and I showed it to my wife who works as a kindergarten teacher. She immediately said that she wants to order a copy for her centre. The book is available from Boolarong Press. You can order it here. Anne also happens to be a Uniting Church member. 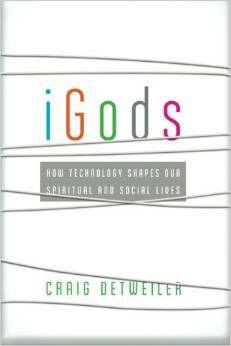 Here’s Dr. Craig Detweiler, author, academic and film-maker talking about his new book, “iGods“, courtesy of the Centre for Public Christianity in Sydney. iGods from CPX on Vimeo.